Subism welcomes the best joined up ‘A Team’ all the way from Leeds to showcase their skills here in the Midlands! It’s sure to be the best Subism Live yet! Artists on the night include Julie West, Phill Blake, Rocket01, Two-pence, Fauna Graphic, N4T4, Little Lady Rinth, Jerms, Geee87 and not forgetting the bju ‘A Team’! 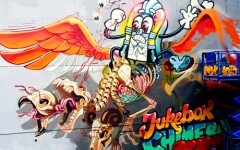 Secret Subism chillout from 2pm til 6pm, live graffiti, doodling, car customizing and much much more. 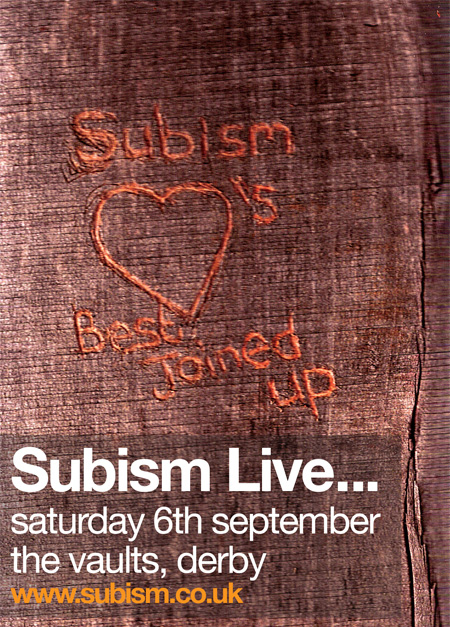 For venue details register now at www.subism.co.uk!